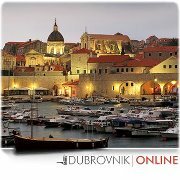 Does anyone know if one may own a property in Croatia through a Limited Liability Company registered in the UK? According to Croatian Law on Property Ownership and other Real Rights (Art. 356 para 2; Official Gazette of the Republic of Croatia Nos. 91/96, 68/98, 13 7/99, 22/00, 73/00, and 114/01), foreign citizens and enterprises who want to become owners of real estate in the Republic of Croatia other than by inheritance need to obtain consent from the Minister of Foreign Affairs of the Republic of Croatia issued on the basis of a prior opinion of the Minister of Justice of the Republic of Croatia. * HRK 20.00 for any subsequent supplement to the application (in case of missing documents). Note: Administrative fees up to HRK 100.00 are paid in the form of appropriate stamp duty, while the amounts exceeding HRK 100.00 must be paid by means of a general payment order to the account of the National Budget of the Republic of Croatia No. 1001005-1863000160, reference No. 24 entered in the first adjacent field, and 5002 in the second; when the payment is effected by a Croatian citizen, the JMBG identification number should be added in the second field, and when the payment is effected by a foreign national number 721 should be added in the second field. The applicant or his/her attorney must enclose the payment order filled out in this manner (or stamp duty) with all other documents required. In the administrative procedure conducted before the Ministry of Foreign Affairs to decide on the application it shall be determined whether there is reciprocity (mutual relationship) between the Republic of Croatia and the state whose citizen the applicant is. This particular requirement is met if in the state whose citizen the applicant is Croatian citizens are recognised the right to acquire property. The Ministry of Foreign Affairs collects and examines foreign laws concerning the requirements and the acquisition of ownership by foreign citizens in those states, and applies and interprets them in the procedure it conducts. Note: There are areas in the Republic of Croatia in which foreign citizens may not acquire ownership of real property, like the excluded areas (Art. 358 para 1 of the Law on Property Ownership and other Real Rights), agricultural land (Art. 1 para 3 of the Agricultural Land Act), protected natural areas (Art. 40 para 3 of the Nature Protection Act), forests and forest land (Art. 1 para 3 of the Forests Act). Following the completion of the administrative procedure upon the application, in case the consent has been granted, the foreign citizen shall be entitled to apply for the registration of ownership in land register.